Citicoline Sodium is made of up of two major components – Cytidine and Choline. Its cognitive enhancements may include improved memory, faster recall speed and increased learning capacity. Other benefits that have been associated with Citicoline Sodium include eye and sexual health. Citicoline, also known as CDP Choline, is a nootropic chemical considered by many to be a part of every nootropic stack. This memory enhancer is completely safe, powerful, and is well-tolerated by the body. It’s commonly used by itself or as part of a stack to protect and boost the brain. Citicoline is one of those supplements that you simply have to try if you’re interested in getting the most out of your supplements. Given how well tolerated Citicoline is there are many different recommended doses, none of which come with any known side effects. Generally anything between 250 and 1000mg, whether taken as one dose or split up into two doses taken around 8 hours apart, is considered to be effective and safe. One interesting thing to note is that a study out of MIT suggests that there is no difference in effects between a 4000mg dose and a 2000mg dose, which suggests that there is very little point to taking a larger dose. Citicoline can be purchased in capsules or powder form. It’s water soluble and the body absorbs up to 95% of an oral dose. Enhanced Memory – One of the most well-known benefits of Citicoline is that it is great for memory and keeping memory loss at bay. Citicoline has been linked to anti-aging and is constantly being studied as a potential remedy for the neurodegenerative disease Alzheimer’s disease. Boost Mental Energy – Everyone benefits from peak mental performance, but no one more so than students with exams and older people feeling the mental decline of age. Citicoline has been shown in clinical trials to boost mental energy, improve frontal lobe bioenergetics, and prevent the mental decline of aging. Improved Focus and Concentration – Citicoline improves your ability to work and focus for a long period of time without becoming distracted, which is vital for people studying, learning new skills, and just completing a mentally challenging and complex task. Studies have shown that even people with serious conditions such as strokes, brain injuries, and Alzheimer’s disease can enjoy these benefits. Potentiating Effects on Other Nootropics – Citicoline is considered by many to be the ultimate potentiator; a nootropic that belongs in any combination or stack of supplements. 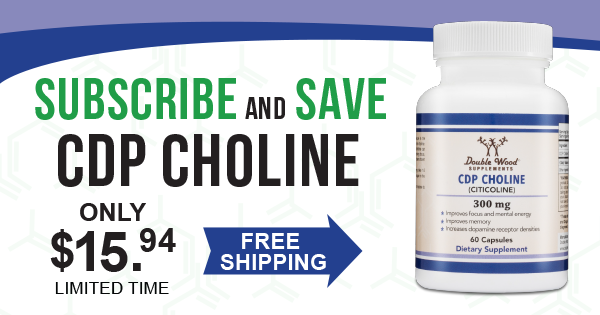 Citicoline is an incredible source of choline, making it effective in combinations with racetams. It boosts their effects and prevents the headaches that can be caused by racetams. The combination of piracetam and Citicoline has been shown to delay the cognitive degeneration caused by Alzheimer’s disease. Most nootropics users will recognise the value of Citicholine as a potentiator for other combinations to be used in a stack. It works particularly well with racetams. The exact dosage for a Citicoline stack depends on the racetam. For example; a piracetam and Citicoline stack is particularly good for boosting overall brainpower while being neither stimulating nor calming. 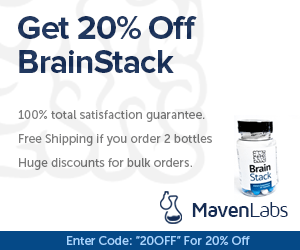 This stack is made up of 250mg of Citicoline and 4800mg of Piracetam. Then you have the Pramiracetam and Citicholine stack. Due to the powerful nature of Pramiracetam you need a much smaller doses. This stack also boosts brainpower without any stimulating and calming effects but is made up of 250mg each of Citicholine and Pramiracetam.